Star Wars is still alive and well, especially after Disney’s purchase of the franchise. That fact is evident by the release of a seventh movie, Star Wars: The Force Awakens. However, we have to wait for at least another year, as the release isn’t going to happen until 2015. But what about other movies? ScreenRant reports that Disney has confirm another trilogy set for movies seven, eight, and nine. 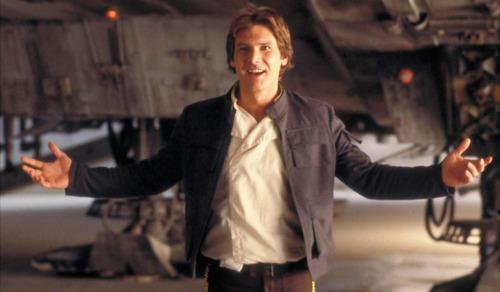 What’s a little more surprising is the confirmation of additional Star Wars universe films. In an earlier Inquisitr report, there were rumors of Boba Fett getting his own movie. This would be a great choice, as Boba had a very small role with a very large impact in the main story line. Yet, very little is know about him or his background. Unlike SNL’s spoof of a geriatric Star Wars cast, these spin-off movies will be giving more substance to the characters. The additional films will provide backgrounds to the characters that had important roles in the main saga. Making Star Wars has the inside scoop on who could be the first character to get their own film. Jason Ward warms readers up with a bit of a tease before unleashing the news. The production is under the code name of “Luminac Industrial Goods” and will tie into Star Wars VIII in some fashion. But who will be the star? Han Solo, of course. The scruffy nerf herder has to get his own movie. Movie Pilot has created a list of characters that have the potential for good spin-off movies. The list includes Jabba the Hut, Lando Calrissian, Greedo, and a few others. What Star Wars character would you like to see get his or her own film? I vote for R2-D2.